Providing Quality Services at Low Cost & Complete Client Satisfaction Guaranteed! 24 Hour Service on Water Issues! Northeast Wisconsin Prepares for Bitter Cold this week. We all know that when the weather turns this cold, the chances of freezing pipes and mechanical breakdowns increases 10 fold. 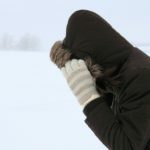 Here are some practical tips for folks in Northeast Wisconsin to keep their pipes from freezing. The first simple tip is to keep the cabinet doors open to your plumbing fixtures. Usually, this is your bathroom faucets and kitchen sinks. With the doors open, this allows easier access to the warm heat from inside your home to reach the pipes and keep them from getting too cold. This is especially good to do when you have a second home and most likely keep the heat setting at a lower temperature while you are away. The next tip we suggest is to consider leaving your faucets on at a trickle. This keeps the water moving through the pipes and will not allow for the pipes to freeze. This tip works well for older homes that may not have enough insulation in the walls to protect your pipes. Heat tape is another option to keep pipes from freezing in Northeast Wisconsin. However, heat tape needs to be used with caution. Heat tape needs to be installed properly around pipes and not all types of heat tape can be used on plastic pipes. If you choose this option, please make sure you read the instructions properly. We also recommend that homeowners in Northeast Wisconsin keep the heat set the same both day and night during these bitter cold temps. Keep an eye on your furnace and keep up on annual furnace maintenance. During these bitter temps, your furnace is working harder than ever. Here’s to staying warm and keeping your home and family safe. If your pipes freeze and you have water damage occur, your best action is fast action. Call in the professionals from CCS Property Services at 920.435.2288. Contact us now for a FREE estimate. We can help you get cleaned up in no time. We offer 24 hour emergency service, and can usually respond within 1 hour in most cases. Please call 920-435-2288 for immediate assistance.